The House Homeland Security Committee will hold a hearing on Preparedness, Response, and Rebuilding: Lessons from the 2017 Disasters on March 15. Members will have the opportunity to direct questions to a panel of federal witnesses and state/local stakeholders that include FEMA Administrator Brock Long (his first appearance before the Committee), San Juan Mayor Carmen Yulin Cruz Soto, and state/territorial government representatives from emergency operations in Texas, Florida, and Puerto Rico. A full list of speakers along with the option to live-stream this hearing can be found here. HUD is asking for feedback on its draft National Mitigation Investment Strategy. A HUD representative will join the Disaster Housing Recovery Coalition’s national call on March 15 to provide an overview of the strategy and suggest ways organizations and advocates can help improve it. Everyone is welcome to join a special meeting of the DHRC Policy Working Group on Thursday, March 22, at 12:30pm to discuss the National Mitigation Investment Strategy and to collect feedback, comments, and suggestions that we can include in our public comments. If you would like to participate, please let Sarah Mickelson (smickelson@nlihc.org) know so that she can share call-in information with you. Attached are the draft of that document and a fact sheet. The Transitional Shelter Assistance (TSA) Program for Puerto Rican families displaced by Hurricane Maria has been extended until May 14. This program that provides hotel vouchers was scheduled to end on March 20. The extension does not come without restrictions. It will only be granted to families who are already benefiting from the program and to those who qualify under new requirements established by Puerto Rico Gov. Ricardo Rossello. A Resource for Engagement with State Action Plans. 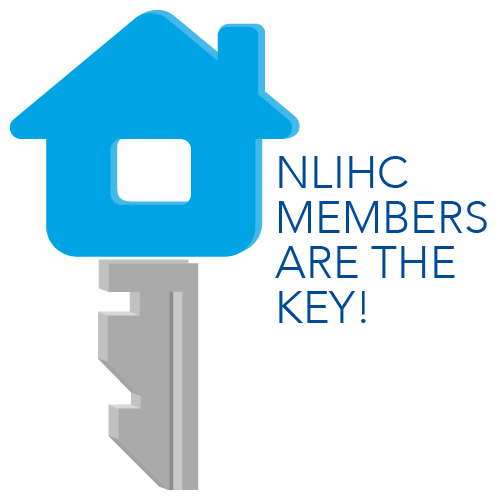 The NLIHC-led Disaster Housing Recovery Coalition (DHRC) of more than 700 organizations provided a comprehensive set of policy recommendations that advocates can use with state governors to ensure that Community Development Block Grant–Disaster Recovery (CDBG-DR) Action Plans provide a fair and equitable recovery. The recommendations emphasize: recovery funding to ensure all households receive the housing assistance they need to get back on their feet; investments in public infrastructure and environmental remediation to meet the needs of low income people and communities; and adoption of transparent data and reporting standards. Read the DHRC state disaster recovery recommendations at: http://bit.ly/2IhQoMs. DHRC submitted written testimony in development of the CDBG-DR-required action plan in Puerto Rico. A set of recommendations were submitted to HUD on behalf of the DHRC in response to a week-long series of public information sessions held on the island. These recommendations highlight the unique challenges in Puerto Rico, including the large number of homeowners without clear title, the need for alternative methods to provide public input, and the widespread and high rates of poverty–particularly in rural and mountainous regions. FEMA Provides Alternatives for Verifying Proof of Ownership in Puerto Rico. By law, FEMA must require proof of ownership and occupancy from disaster survivors who apply for federal assistance to help with repairs to their damaged homes. When all forms of verification are destroyed or don’t exist, FEMA may accept a signed self-declaration. If home ownership or occupancy cannot be proved, some individuals or families may still qualify for other available disaster assistance to cover damaged or destroyed personal property. Applicants who need legal assistance regarding home ownership documentation and cannot afford an attorney may call the free Disaster Legal Services hotline at 800-310-7029. Deadline Extended for Private Non-Profit (PNP) Organizations Applying for FEMA Funding. FEMA Public Assistance provides grants to eligible government organizations and PNPs for debris removal, life-saving emergency protective measures, and the repair, replacement, or restoration of disaster-damaged facilities. The program also encourages protection of these damaged facilities from future events with hazard mitigation measures during the recovery process. The application deadline for PNP organizations in Puerto Rico has been extended till April 3. Long-term Help Remains for Hurricane Irma Survivors. Twenty-six Long Term Recovery Groups (LTRG) across Florida–supported by a variety of nonprofits and FEMA Voluntary Agency Liaisons–are helping Irma survivors connect with resources. The nonprofits work to assist unmet disaster-related needs of people who may need more time and resources to recover. Specialists from several federal agencies also offer support by working with local groups to help build communities better prepared to face disasters. Experiment with post-Harvey housing helps far fewer than expected. This Houston Chronicle article outlines how FEMA’s experiment of pushing responsibility on Texas for short-term disaster housing – as opposed to relying on DHAP and other federal programs – has left thousands of survivors without the help they need. It’s a story of unnecessary delays, mismanagement, lack of capacity, and communication breakdowns–all of which leave families struggling to make ends meet. It also underscores the need for congressional action on DHAP and other solutions.